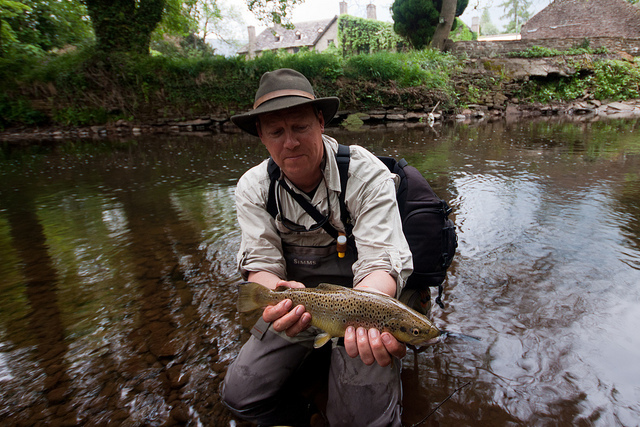 The aim... to catch a trout from each of the following streams: The Dore, The Escley, The Olchon, The Honddu and of course The Monnow. Trout fishermen revere the trout; trout, on the other hand, unaware of their sublime standing in man's world, revere nothing, including man, a creature they seem to view with special contempt. Nihilism is a rare trait in fish but trout are full of it. The old men liked that. Just realised I might be a little late on this but would say £50. As there are no other bids, hopefully this is still accepted (understand if not though). Dave (tigermoth) has agreed to honour this lot conditional on it being arranged on a weekend. See “Notes” thread for payment details. That's great, thank you both. Have just sorted the transfer so you should see that now. Looking forward to it! Last edited by chris_t; 15-04-2019 at 09:33 PM.